Green beans are one of the most popular vegetables grown in the home garden, only lagging the tomato in desirability by the majority gardeners. There is a good reason for that: people love fresh green beans, as they go great with a wide variety of meals, and are very healthy for you. 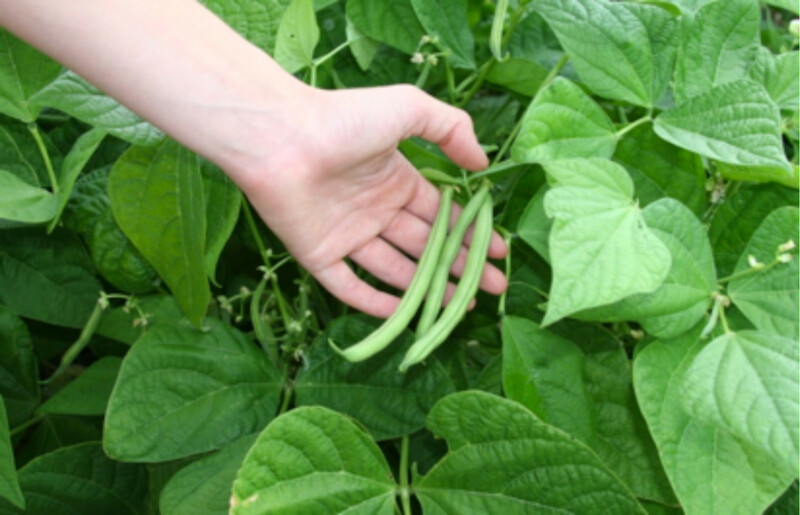 Another reason is the green bean, with a few exceptions, is one of the easiest and most prolific of vegetables to grow in the summer months; although there are a number of things that a gardener can do to make them produce better. They are also relatively simple to prepare and put into storage. That way garden-grown beans can be offered throughout the fall and winter months. With all that going for it, no wonder green snap beans remain near the top of choices for gardeners to grow every year. One caveat is it does take some work to harvest them, so you may want to keep the number of plants down if you haven't ever grown green beans before. Growing peppers has become very popular among home gardeners. There seems to be an endless number pepper varieties, which include sweet and hot in numerous colors, make peppers a very compelling choice for the garden and dinner table. They are also.. The tomato is one of the most popular plants to grow in the garden, and in reality is not a vegetable, but a fruit, even though some people like to debate that. There is a wide variety of tomatoes to choose from, including the giant slicing tomatoes. 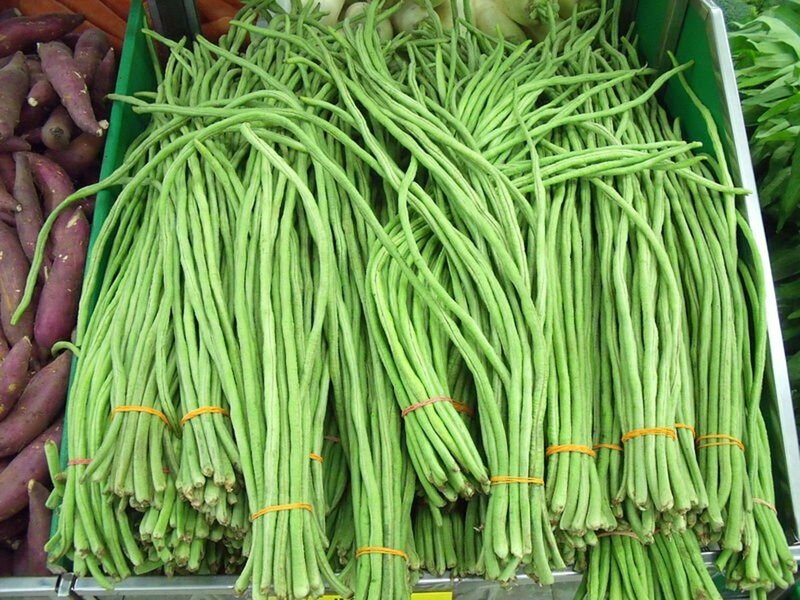 There are two basic types of green beans: bush and pole beans. 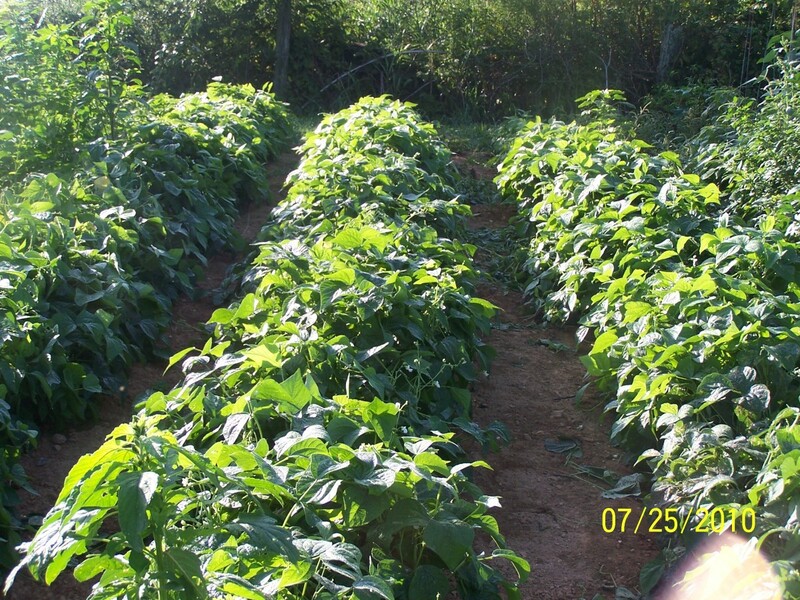 The bush beans spread out more and are lower to the ground, while pole beans are just what they sound like: they're designed to grow vine-like and are normally placed on trellises or a support of some sort. They are easier to harvest because of the ease of access to them, although they usually take longer before they're ready to harvest. As a general rule of thumb bush beans will take a shorter time from seed to harvest; but because of the differences in varieties, that can change. I have always used a bush bean that goes from planting to harvest in 45 days so I can get more out of the harvest by stagger planting them throughout the summer and early fall. 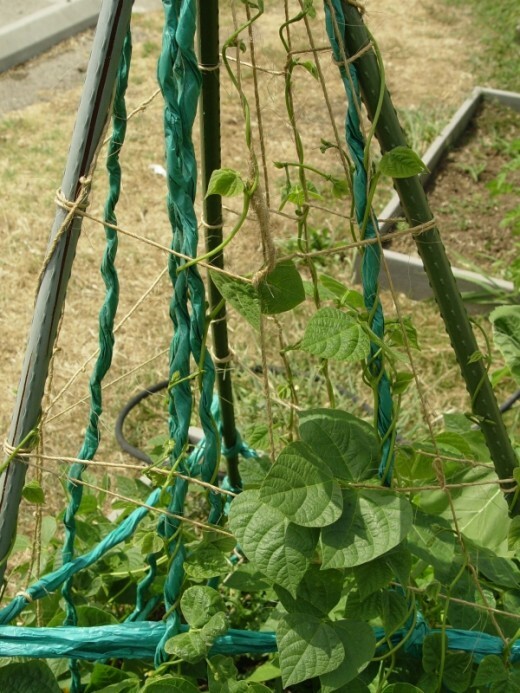 There are many ways a gardener can support pole beans. I've personally made trellises with hinges on them which open up to stand on legs. They just require some 1X2 boards, a few screws, and of course the hinges. Others grow them on teepee-shaped supports which they narrow together and fasten at the top. No matter what your choice is, all you have to do is plant your pole beans where the supports are, or where they open up to, and let them grow and guide up the support system you decide on using. It's a simple and easy technique, and once it's set up, all you have to do is occasionally weed the area, and wait for the beans to mature. My personal favorite is bush beans. I've grown them all over the United States; both in the ground and in containers when our living arrangements called for it. They can be easily grown in northern climates once the last frost day is over. Because hotter weather isn't a factor, you can grow them in almost any manner you choose, as far as how you place them in the ground. In the warmer climates I've lived in, I've always placed them in rows of about two to three feet wide. That helps to keep the root systems shaded, so it retains its moisture longer, and secondly, it helps keep weeds down because of the canopy formed by the leaves of the bean. Even in regions where it has humidity in the 90s many days in a row in the summer, along with the temperatures hovering between 95 to 100 degrees fahrenheit, I've had no problem getting a good stand of beans. Watermelon and the summer go together, as who doesn't want to sink their teeth into a sweet-tasting, ripened melon on a hot day; especially if you cool it before taking your first bite out of it. By far the best season to grow them in is the summer,. I'm not going to get into the numerous varieties of green beans there are to plant, as there are simply too many to talk about, and some do better in different zones. What I do want to talk about is choosing beans which have some disease resistance to them. That, more than anything, is the best practices in managing your beans. If disease hits when a bean is in the field, there's very little you can do to combat it. I've never had any problem with that because of choosing a good, resistant bean and just sticking with it. Look for resistance to bean mosaic diseases. Also stay out of the bean patch when it's wet. If you pick at that time you'll almost surely spread disease among your plants. Green beans don't take the cold well at all, so the only time to plant them is when all danger of a frost is over. A growing strategy I've used for years to get green beans all summer long and into the fall before the first frost, is to stagger plant them about every two to three weeks. Some wait a month, but I have found in that case there is usually a space of time where there are few, if any beans, from the first harvest. But remember, I'm used to planting very fast-growing beans, which can be harvested in about 45 days. Others with longer time to harvest could probably be planted about once monthly. 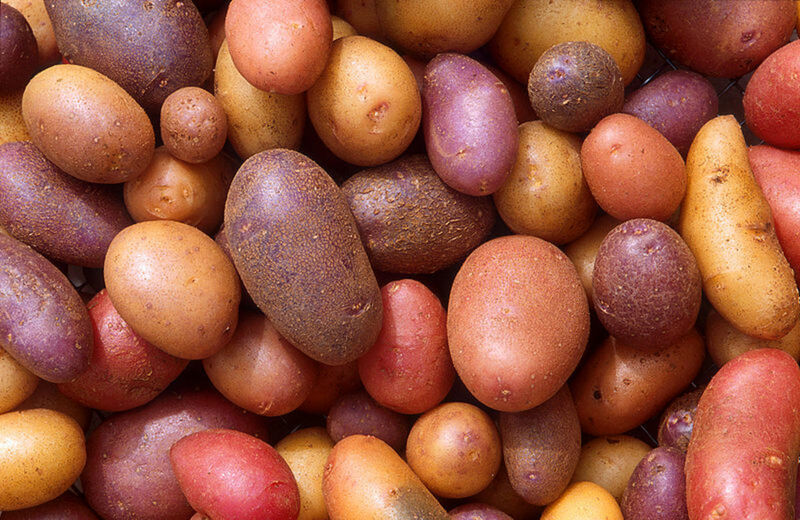 Time them to harvest at least two or three weeks before the final frost on your last planting, or you'll lose a lot of beans if they freeze too soon on you. As to how deep you plant a green bean, press them about an inch into the soil or potting mix, if you're growing them in containers. I would recommend growing them in wider rows, spacing them several inches apart in rows about 2 feet wide. If you only want enough for the family during the growing months, you can still place the beans in a square or rectangular shape to get the benefits of the shading and cover mentioned above. For pole beans they can be spaced further apart, with individual beans placed up to about six inches from each other in rows with a width of about 3 feet wide, or a little less. You can adapt that to the type and shape of the trellises you use. 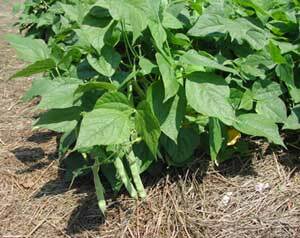 Plant green beans in an area which doesn't hold too much moisture and drains well. When I grew beans commercially, if there was a slight decline in the gradation of the land, the beans on higher ground always wildly outproduced those that held water longer. Some people recommend soaking green bean seeds before planting, but I wouldn't recommend this. The best practice is to plant your beans and water them immediately afterwards. Either that or right before you know it's going to rain out. With green beans being so prolific, I don't bother doing any type of cultivating with them. They have shallow root systems which if you cultivate too close, will injure the beans and cut back on the yield, or extend the length of time till you can harvest them. Beans aren't a flower, so I don't care about aesthetics. Let some weeds grow among them. I've never had problems with enormous bean harvest, and I had huge, long rows of them. When grown and harvested correctly, there isn't a food much better than sweet corn in the summer months, or any time for that matter. I also believe it's the most anticipated crop grown by gardeners, as they wait for that first bite of sugary sweet..
You'll know your beans are ready to pick when they are stretched out, firm and crisp in the hand. You know there crisp if you break it and hear that nice snapping sound. Don't wait until they get big and fat in the pod, as they won't be as tasty. Because beans are sometimes hard to spot in all the green, you will occasionally miss one and a few will grow fat. It doesn't hurt to pick and use it, it's just not quite as good as the others are, as the pods have toughened up. If you wait too long to pick your beans, there will be less beans when you come around the next time because the plant doesn't produce as much new beans if there are a lot of beans in the pods maturing. Also remember to wait until your beans are dry when picking so you don't spread any disease among your plants. For short term bean storage, you can place them in a plastic bag and put them in the refrigerator. They will usually last for up to three days. Whatever you do, don't wash them and leave them wet before you put them in the bags and refrigerator, as they'll blacken and decay very fast. When you're ready to use the beans for a meal, wash them right before you begin preparations. Not only are green beans an easy plant to grow, but they provide great nourishment and encouragement to gardeners, as they almost always produce a great and satisfying harvest. They are also a good choice to pass on to our children or grandchildren, because they offer fairly quick success and satisfaction to the young, future gardeners. You also get to spend some quality time with them; something many of us rarely have time for any more. So grab some seed, clear a little plot, or get a nice-sized container and let the fun begin. You'll have a fresh supply of beans throughout the summer months and, in some areas, early fall. If you grow enough green beans, you can also store them for the winter. No wonder the green bean is such a valuable and popular part of gardening for the family. 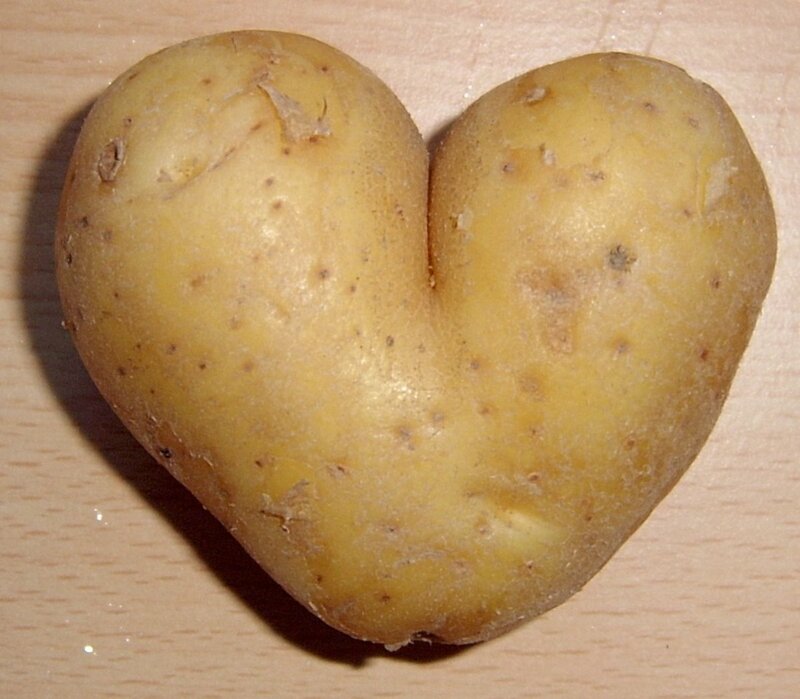 I love vegetable harvesting and your topic is interesting. Love my green beans. 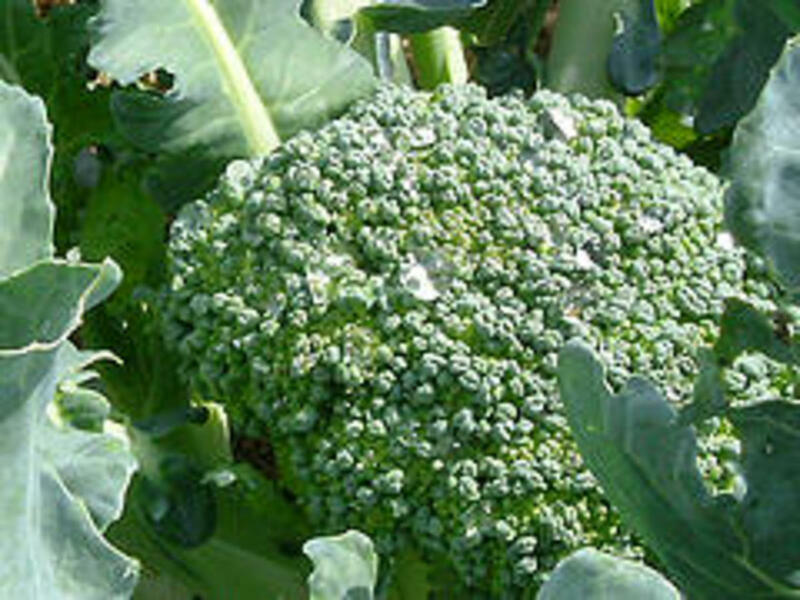 They are the ultimate instant-satisfaction vegetable: easy to grow, easy to prepare, and delicious. My only problem is that rabbits also love them.